So this is another late box, this is the July crate and it is slightly better than previous months, but, and I don't want to sound whiny again, but it's still not great. I would honestly prefer to pay the $5 extra again if it meant we went back to the way it was. I miss the collar charms, the t-shirts, the useful items, I miss it so much. Anyway, lets have a look at what was in the July Animation Loot Pets. OK, so these went down a treat (haha) and Kylo really did love them. 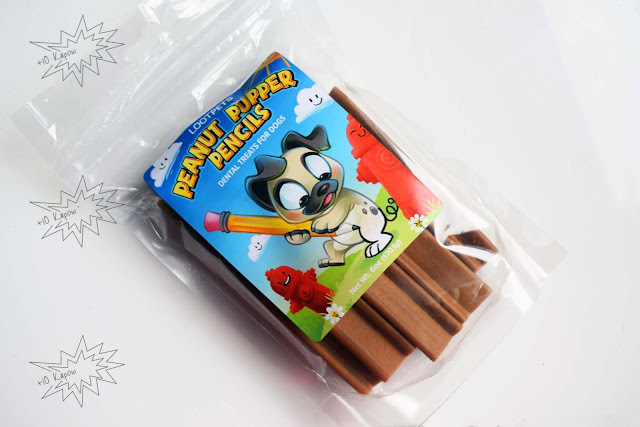 They are basically Dentastix but peanut butter flavoured and she already has Dentastix as part of her diet. They bloody stink though, as a human, I did not think they smelt like peanut butter and I wasn't really feeling a taste test tbh. These went down like a lead balloon (or bubble) with Kylo. She is just not interested in bubbles. We bought her bacon bubbles and a bubbles machine last summer, complete waste of money. These are really good bubbles though, you get loads from one dip and they are kind of thicker so it takes them a while to pop. They do stink thought but Kylo did like licking the floor where they popped so they must taste nice. 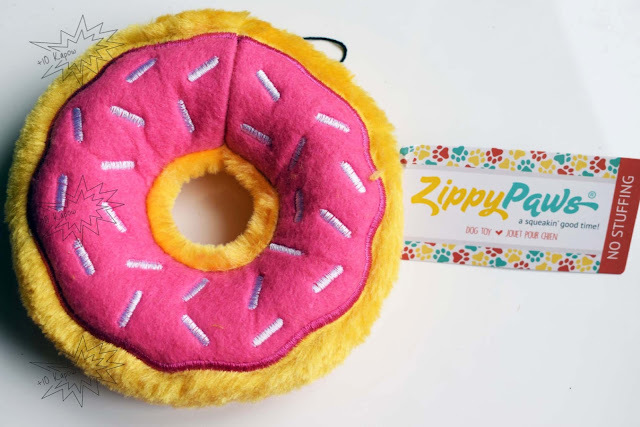 This was the best of the items in the July crate and it's blatantly Homer's donut, innit?! 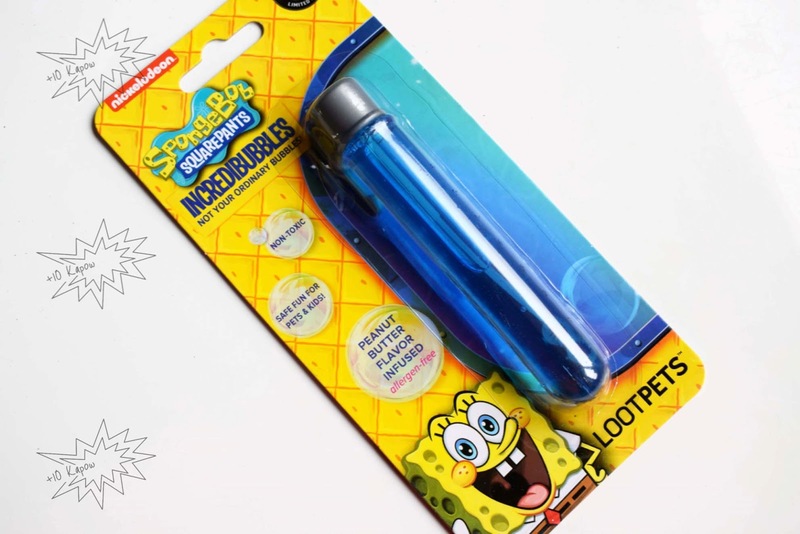 The toy has 2 large squeakers that join together to make the round shape. They squeak really loudly and the stitching is good. So far this remains unripped but she has broken one of the squeakers but what do you expect from a toy killer? Just look at her! Look at that anger in her eyes. OK, so she may not be an angry dog but she is weird, she keeps just shoving her bottom jaw in the donut hole and then she getsa panicked look in her eyes when she can't easily get it off but then she does and it starts all over again. 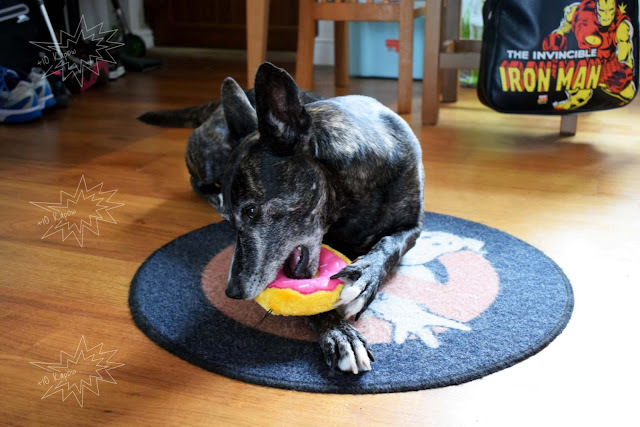 Yes, my Ghostbusters mat is minging, because she claimed it and every pawrent knows that means I've now lost it. 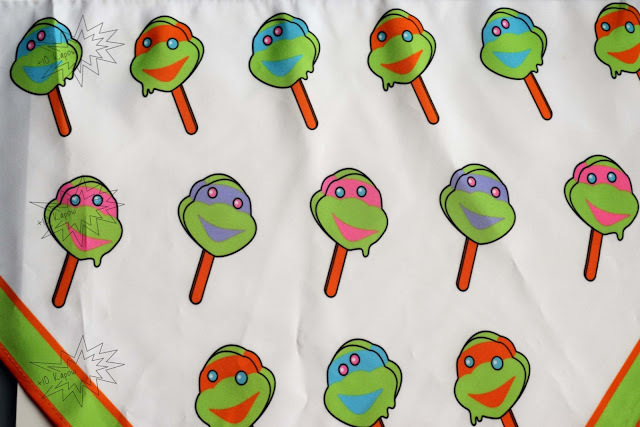 OK, first of all, do these TMNT ice creams exist over here and if so, where can I get one? Secondly, this was the worst item of this months crate, not for the print thought, the print is cute as hell. The material is horrible, I don't like it and Kylo didn't like it. The bandana is was too small, we literally had it folded over at the front and made her sit still so we could take a photo, the moment she moved it was off, if we had tied it at all it would have been choking her. 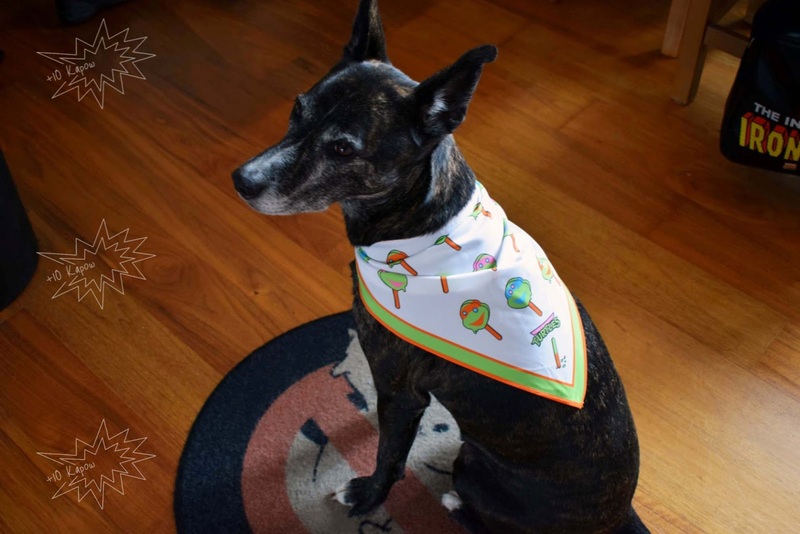 Loot Crate have her collar size and no collars or bandanas have ever been the wrong size so it's a bit weird to me that it was so small. I'm not going to request a replacement because it's hard enough getting a replacement for stuff I do want these days. Yeah, so I'm still not feeling Loot Pets but I am still struggling to convince myself to cancel it even though the logical side of my brain is screaming at me to do so. 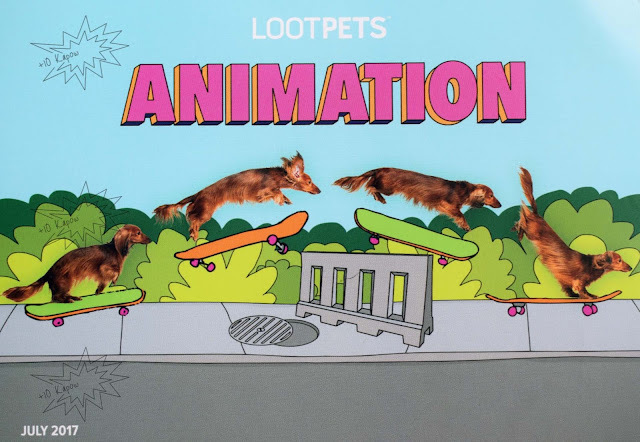 What do you think about the Loot Pets crates this year, are they a yay or nay for you? I haven't posted my Loot for Her from July and I don't see me posting it anytime soon, it hasn't arrived and Loot Crate have said they are sending a replacement but my June Turtles T-shirt replacement still hasn't been dispatched so I'm a little bit frustrated. I did manage to avoid spoilers for Loot for Her completely up until 3 days ago, when I found out that it was leggings, woop, definitely not complaining, but then yesterday I also saw them so now I know everything about them and I need them to arrive soonish because argh!